This thin volume is the perfect read for any astrology-lover or learner looking to understand each sign directly and in great detail. If you're like me, you've read several astrology books up until this point. I think I've only read one other book/series that goes into each sign with its own book. I really like how she has different titles for each one; titles that she was determined 'fit' each zodiac sign. She even goes into detail in the beginning chapter about coming up with the title and the email exchanges back and forth between several different Aries....It was brilliant! We got so much out of those and I think it really helped me contextualize what is sometimes very repetitive behavior descriptors (enthusiastic, driven, selfish, etc). What does that look like IRL? Mary English shows us. I do wish it was a bit longer, actually. I think there could have been more in there about the main personality run-off situations; like the 'shy' Aries, or the Aries who suffered trauma as a child and taks the form of ___. 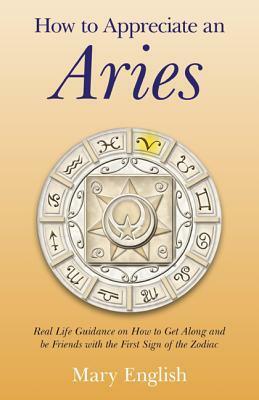 If you are an Aries, or are looking to understand an Aries close to you in your life, I definitely recommend reading this book!It's short and sweet, but very dense. You may have to read it several times (like I did) to get the full amount of information she is conveying! *note* Thank you to Dodona Books who granted my request for a review copy.